Lamborghini is one of the exhibitors of the Retromobile Show in Paris, France, with a special Miura SV, which has been completely restored by the Polo Storico division. Made in 1972 and originally shipped to South Africa, this Miura was executed in Rosso Corsa with gold accents over black leather interior. Today, 47 years later, the same colors are still there, only everything has been repaired, restored or replaced. When it arrived in Sant'Agata Bolognese, Miura SV was anything but perfect. However, it contained all the original parts, and yet the process took 13 months. The car was completely dismantled so that the engineers could check all the details and check them in the Lamborghini archive. Today the car belongs to Jean Todt. The President of the FIA ​​was received earlier this week at ISSA Polo Storico Stand in Paris, and Lamborghini boss Stefano Domenicali was the one who handed over the keys to his new owner. 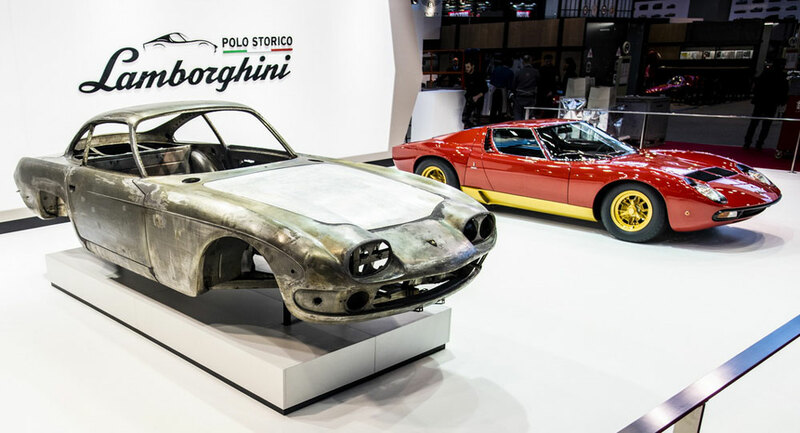 Lamborghini has two cars at Retromobile, apart from Todt Miura SV there is also one 1966 400 GT, More specifically, most of it is not in the best shape as VIN 0592, which belongs to a Canadian car collector, is being completely restored by (who else?) Polo Storico. Those who want to watch both vehicles live, as well as other classics, have time to get there by 10th February France's capital and visit the show.